Lulin and Saturn at 0130 local time (GMT+2) on 25th February. The ion tail of Lulin is nearly completely hidden behing the head, thanks to the perfect opposition alignment. 3 nights ago, it was plainly visible, just opposite of the dust (anti?)tail. 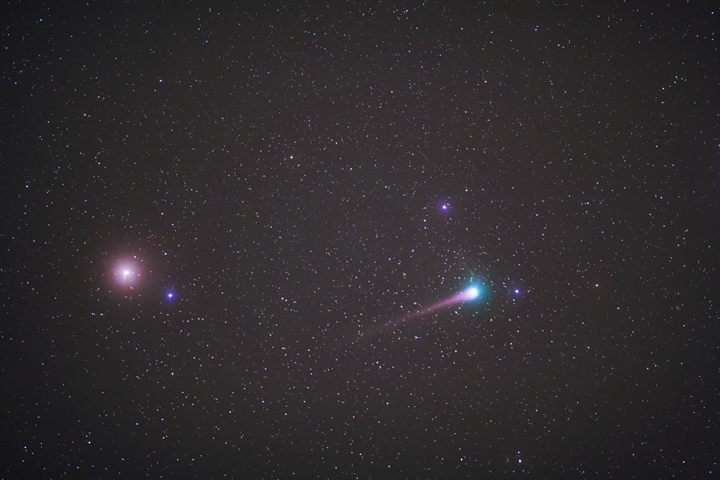 Composite of 0.5 and 1-minute exposures at ISO 3200, through 200 mm f/1.8 lens. The diffusion was caused by very thin clouds. 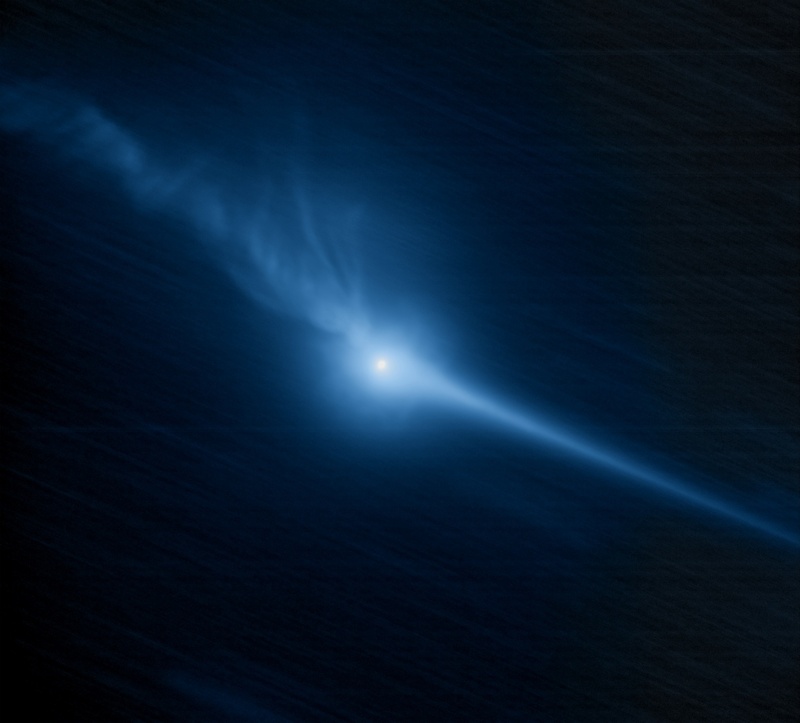 This movie shows comet Lulin and two asteroids in the same field of view. I took the pictures from Portugal (lat:41.03; long:-7.17) on the 25th Feb 2009 from 1:18 to 2:07 UT. Photo details: 15 images of 3 min each with Canon 40D + Tak FS102NSV @ f/6.2. 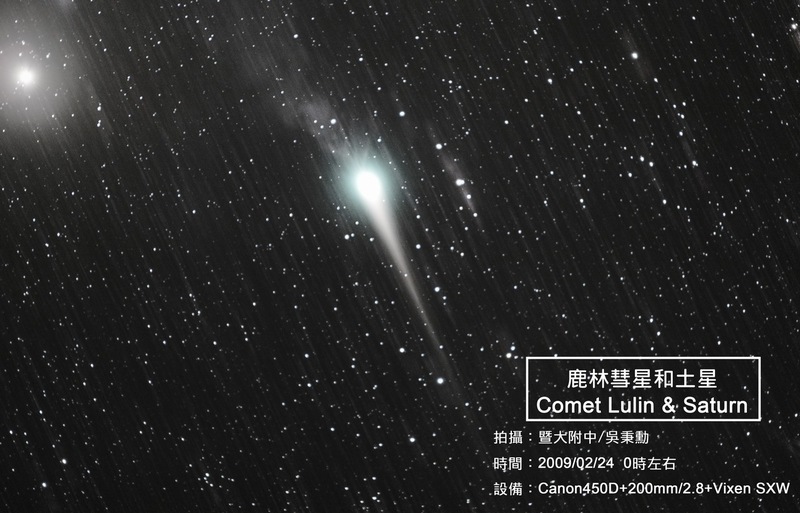 Comet Lulin was found in our country, Taiwan. This photo was shot on the Mount Hehuan in Taiwan, too. 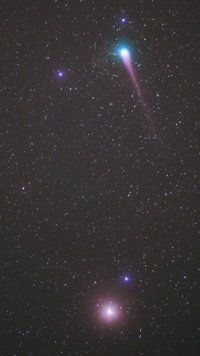 At 23 February night, comet Lulin "lost" its ion tail, but we still can see some remains at the upper left of the comet. 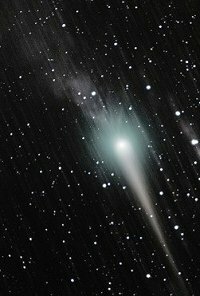 We aslo can see Saturn(at the photo's upper left corner) shinning with the comet. 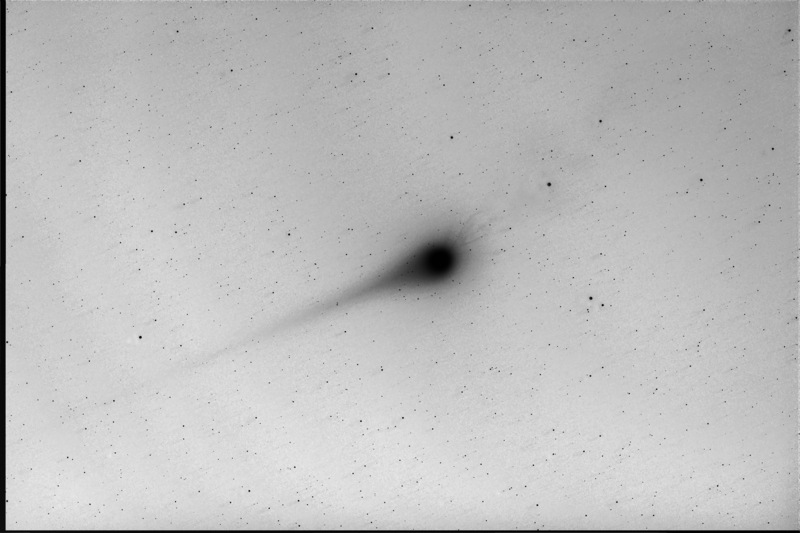 Taken from New Mexico Skies using an FSQ 106 and STL11000 camera, the image is a median combine stack of 50 x 180 sec frames with the comet tracked. 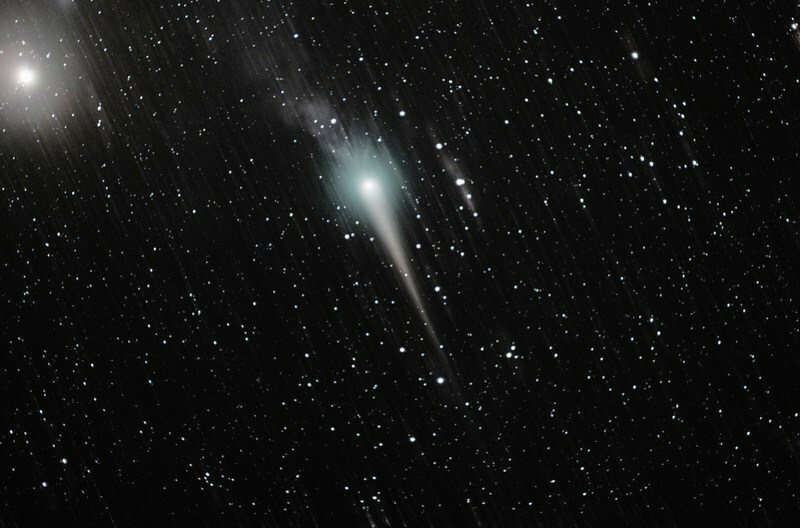 It shows considerable detail of both tails. 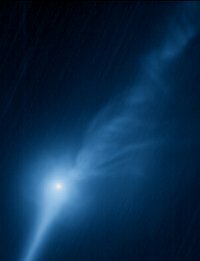 What an endlessly surprising and beautiful comet Lulin has turned out to be. 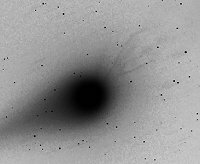 Lulin's tail seems to be sputtering dust and gas. This is an inverted view of ten 60 second integrations.